Since it became clear that Michigan’s Emergency Manager law — Public Act 4 — was disproportionately impacting majority African American communities, I have been warning that this was something that wasn’t likely to stay confined to those towns. In fact, I have written, it was likely going to take a majority white city staring down the barrel of state-appointed dictator — a viceroy, if you will — before non-African American Michiganders would start to take notice. Attention, white Michiganders: it’s time to take notice. In early August, after an intentionally absurd legal battle, Public Act 4 — Michigan’s anti-democratic Emergency Manager law — was repealed. 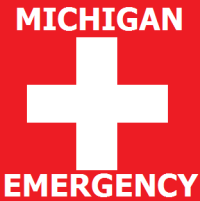 Attorney General Bill Schuette immediately declared that the former version of the law, Public Act 72 — the Emergency FINANCIAL Manager law — was back in force. 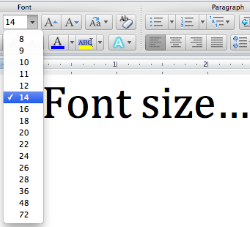 The lengths to which Schuette went to justify this decision were nothing short of epic. 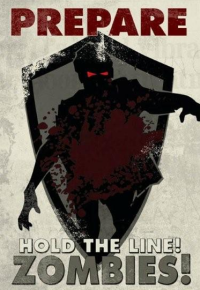 Now a group of civil rights attorneys has stepped up to slay the zombie beast. Click through for details. Fer cryin’ out loud, was THAT so hard??? 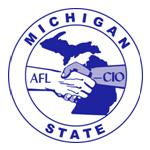 The Michigan Board of State Canvassers met today in Lansing and followed the order given to them by the state Supreme Court to put the repeal of Public Act 4 – our state’s anti-democratic Emergency Manager Law – on the November ballot. While you would think that this is the final piece in the Republican Stall Machine, it’s not. Although PA 4 is now officially suspended until the election to determine if it’s repealed or upheld, there is now certain to be a court battle over what happens in the interim. With the approval of the PA 4 repeal ballot initiative imminent, the predictable (and predicted) fight over what happens next is fully underway. Using a truly astonishing act of mental gymnastics and pretzel logic, Republicans, aided and abetted by Attorney General Bill Schuette, are convinced that we will simply revert to the original statute, Public Act 72. Though this law gave Emergency Financial Managers much less abusive authority than the Emergency Managers under Public Act 4, those municipalities and school districts currently under the thumb of a local dictator beg to differ with this view of things. Join me on the Zombie Law Roller Coaster after the jump. 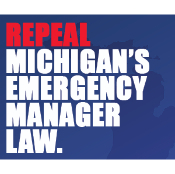 This morning the Michigan Supreme Court issued an order directing the Board of State Canvassers to certify the nearly quarter million petition signatures to put repeal of the anti-democratic Emergency Manager Law on the November ballot. Yesterday, I wrote about the March for Democracy and Freedom being organized by Rev. 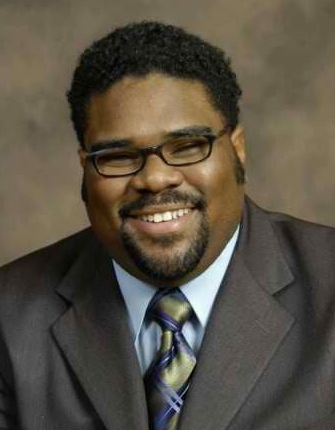 Charles Williams II and his group, National Action Network – Michigan Chapter. The march was modeled on the Selma to Montgomery civil rights marches of the mid-60s and was in protest of voter suppression legislation passed by Michigan Republicans as well as the anti-democratic Emergency Manager Law, Public Act 4. Yesterday, Governor Snyder stunned the state by vetoing the three most egregious bills in the election reform package sent to him by the Republican legislators. Based on this, the march has been postponed. Rev. Williams’ statement after the jump.